Veress needle insufflation is the preferred technique for establishing pneumoperi-toneum in some institutions, with the Hasson technique reserved for difficult cases. 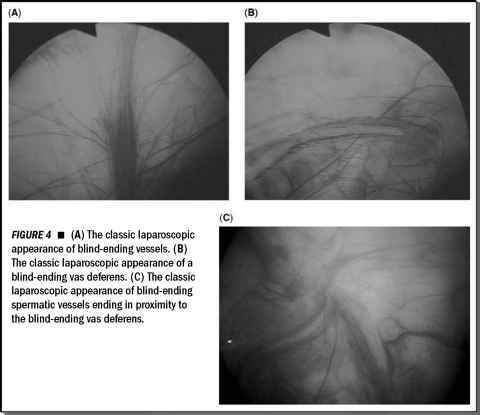 Blind trocar insertion following this method of insufflation carries an increased risk of bowel or vascular injury that does not occur when all trocars are introduced under vision. The needle is inserted level with the umbilicus and lateral to the rectus muscle. Intra-abdominal pressure is increased to 20 mmHg prior to initial trocar placement and then maintained at 8 to 15 mmHg for the duration of the operation. technique in detail. The major technical considerations are (i) retroperitoneal access by an open method at the tip of the 12th rib, gently piercing the anterior thoracolumbar facia with finger tip or artery forceps after blunt dissection through the flank muscles; (ii) balloon dilation of the retroperitoneum using a trocar-mounted balloon device, which displaces the kidney anteromedially and facilitates identification of the renal artery; (iii) secondary port placement under laparoscopic or bimanual control, so that the three trocar sites are placed along the line of a conventional subcostal incision (Fig. 5); (iv) identification and control of the renal artery and vein; (v) kidney mobilization including clipping and division of the ureter; (vi) entrapment and piecemeal removal. Retroperitoneoscopy offers a number of advantages, avoiding adhesions in patients who have had previous abdominal surgery, and reducing the risk of bowel injury. On the other hand, operating in the more confined space of the retroperitoneum is a disadvantage, and orientation may be difficult. Hand-assisted laparoscopic nephrectomy involves introducing the surgeon's or assistant's hand into the insufflated abdomen. It appears to have few advantages over standard or "pure" laparoscopy, but some authors claim safer retraction, reduced operating times, and a shorter learning curve. The incision required is larger than that for a wholly laparoscopic approach with morcellation of the kidney but smaller than that necessary for conventional open surgery. The technique may simplify the laparoscopic approach to chronically inflamed or scarred kidneys and shorten operating time (11,12) but is more suited to those patients in whom a larger incision is necessary, especially those undergoing donor nephrectomy. Mass ligation of the renal artery and vein with the endo-gastrointestinal anastomosis has been described for use in patients with severe perinephric reaction, to avoid the risk of vascular injury when dissecting between renal artery and vein. Although there is a theoretical risk of fistula creation, this has not so far been observed (13).